John Toonen was born in Holland in 1944 and came to Canada in 1965 where he learned to cross country ski. It became a passion with him that lasted the rest of his life.  He was one of the original participants of the Canadian Birkebeiner Ski Festival. It was an event that he looked forward to with great anticipation every year. He had earned the privilege of wearing a “Red Bib” by completing all of the 15 events held annually in Edmonton before being taken from us on January 19, 2002 at the age of 57. He also completed the American and Norwegian Birkie, thus earning the coveted Haakon Haakonsson award. 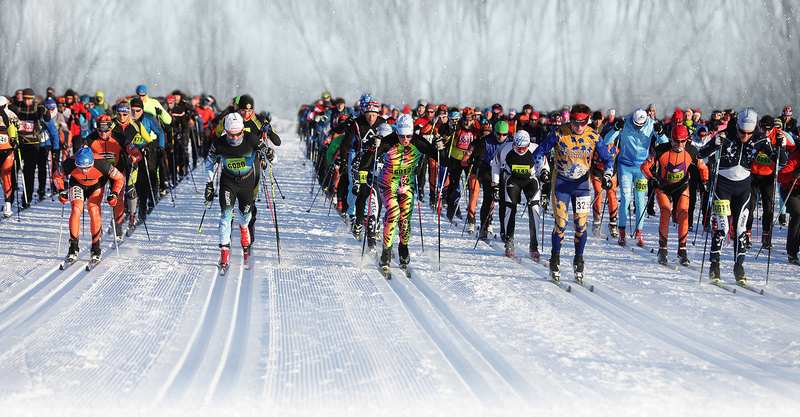 We hope his spirit will live on through this cross country ski event that he loved so much. The John Toonen Memorial Award is donated by John’s wife, Margaret. 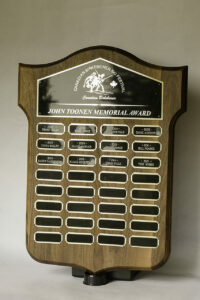 The permanent wall trophy is a beautiful wood plaque with names etched on individual name plates. 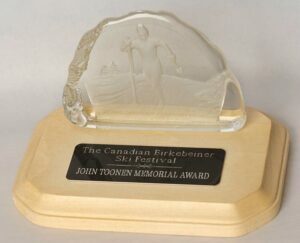 This award is presented to the oldest skier in a 55 km (with pack or lite) event, alternating between males and females. Click here to see the recipients.